The Prime Minister of any nation is head of the Government and is accountable for all the decisions and policies as laid down by the Government. Talking about Indian Parliamentary system, the President is named as Head of the State de jure by the Constitution however, it is the Prime Minister who has the President’s de facto powers vested in him and along with his Council of Ministers. In India, the Prime Minister is the head of the party which has the majority in lower house of Indian Parliament – Lok Sabha. 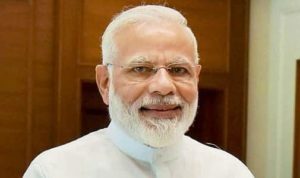 Since the time India got its independence in the year 1947, there have been 15 Prime Ministers who have led the nation and it is inclusive of Gulazarilal Nanda who acted in the capacity of Prime Minister for a duration of 13 days twice (in the year 1964 and 1966). 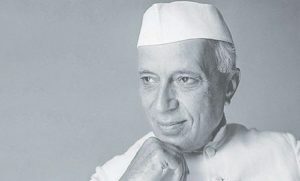 Pandit Jawaharlal Nehru was the first Prime Minister of India and he was the head of ruling party – Indian National Congress. He played a major role in shaping the India since he was elected as 1st prime minister of independent India. He had been an eminent figure of the freedom movement of India. Under his leadership many policies of the coalition party were framed for the future of India. He was acknowledged as political heir and successor by Mahatma Gandhi. Under Nehru’s initiative, the Congress rose as a big tent party. The dominance of the congress party was seen on national and state-level governmental issues and winning elections in 1951, 1957, and 1962 consecutively made the party further popular. He stayed mainstream with the general population of India regardless of political inconveniences in his last years and failure of direction amid the Sino-Indian War in the year 1962. In India, people celebrate his birthday as Children’s Day or as Bal Diwas on 14th November. He played a major role as a social reformer and was instrumental in reforming the prehistoric Hindu Civil code. His initiatives let Hindu widows enjoy the rights as equivalent to the men in terms of inheritance and property. Gulzarilal Nanda was India’s first “Interim” Prime Minister who acted in the capacity of Prime Minister for two times in the year 1964 and 1966. 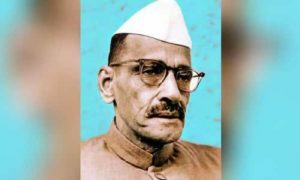 Since Jawaharlal Nehru and Lal Bahadur Shastri died while serving as Prime Minister, Gulazarilal Nanda was appointed to take care of Governmental issues. His terms were highlight uneventful but since Nehru died soon after the Indo-China war and Shastri died soon after Indo-Pak war, his leadership proved to be instrumental at such critical times. After the election of new Prime Minister by the ruling party, both of his terms ended. His efforts and work is acknowledged through Bharat Ratna which is the highest civilian award of India. Lal Bahadur Shastri was also from the Indian National Congress and was the 2nd Prime Minister of India. He coined the slogan “Jai Jawan, Jai Kisan” and it became really famous during the Indo-Pak war. He died after the war came to an end with the Tashkent agreement and till now the reason of his death is disputable. He considered Nehru as his mentor and even Nehru was quite fond of him. Though there was a lot of opposition and criticism that he faced from the congress party but due to his cordial relations with Nehru, he ascended as the Prime Minister of India. He was instrumental in promotion of White Revolution which led to the increment of milk’s production in India and supported the Green Revolution which boosted the production of food items. He was extremely soft spoken and mild mannered and was known for his humble nature and honest practices. He was also awarded the Bharat Ratna posthumously and “Vijay Ghat” was built as a memorial for him in Delhi. His slogan “Jai Jawan Jai Kisan” is still prevalent through the length and breadth of the nation. 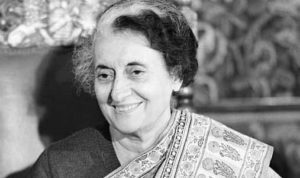 The first Woman Prime Minister of India and the longest serving woman Prime Minister of the World is Indira Gandhi. She was the daughter of Jawaharlal Nehru and much of her political knowledge and prowess comes from him. She was extremely bold and courageous and played an instrumental role in India’s victory over Pakistan in the Indo Pak war of 1971. This war with Pakistan was in support of the war of independence and independence movement in the Eastern Pakistan. After India’s victory, this part became Bangladesh and India expanded its impact on the world to a point where it turned into South Asia’s super power. She also contributed significantly for the enhancement of relations of India with neighbouring countries and on the international level as well. From the year 1975 till 1977, she organised a highly sensitive situation and it was called as emergency where the common and fundamental freedoms of citizens got suspended and as a matter of fact the press also got censored. Far reaching abominations took place amid the crisis. She again got elected as the Prime Minister in the year 1980 after fair and reasonable elections. She was eventually assassinated by her security guards in the year 1984. She is also the second largest serving Indian Prime Minister after Jawaharlal Nehru, her father. The first Non-congress Prime Minister to have led the nation was Morarji Desai. It was him and his team of ministers who played a pivotal role in terminating the state of emergency which was led by Indira Gandhi. A lot of people were feeling unheard due to the oppression they were forced to undergo under the direction of central government and it was then the entire nation came forward and marked the end of torment they had to go through by electing a minister from political party other nation INC. Desai was instrumental in bringing forth calm and peace in the nation and was also very much influential in improving the international relations of India, especially Pakistan and China. He and his team of ministers undid all those amendments that were made to the constitution and therefore making it almost impossible for any other future government to execute the state of national emergency. 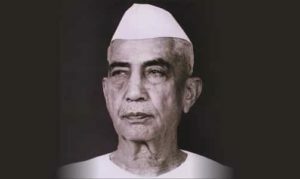 Hailing from Secular Janata Party, Charan Singh was instrumental in bringing forth the Land Reforms Acts. He was frequently referred to as “Champion of India’s Peasants” and he played a vital role in transforming the agricultural economy of the nation after independence. He was of the view that cooperative farms would not prevail in India. He believed that the privilege of possession was critical to the agriculturist in remaining a cultivator and this came from the fact that he himself was the son of a farmer. He wanted to protect and settle an arrangement of proprietorship of farmers. His profession as a political leader endured because of his public criticism of economic and financial policies as implemented by Nehru. 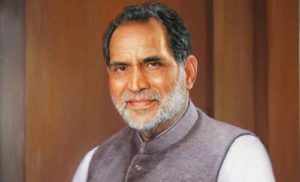 He was always associated with causes related to farming and cultivating communities of India and thus to commemorate his dedication, a memorial named Kisan Ghat was built in New Delhi. 23rd December, his birthday, is celebrated as Kisan Diwas all over India. On his 3rd death anniversary, a dedicatory postage stamp was also issued by the legislature of India. After the assassination of his mother, Indira Gandhi, Rajiv took office. He became the youngest Prime Minister of India at the age of 40 years. He was working as a professional pilot and was residing in New Delhi with wife Sonia Gandhi and children, Rahul Gandhi and Priyanka Gandhi. 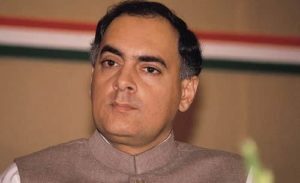 Though his mother and brother Sanjay Gandhi were actively involved in Indian politics, Rajiv Gandhi chose to stay apolitical. However, after Sanjay died in a plane crash, Rajiv entered the world of Politics reluctantly on the insistence of Indira. Rajiv Gandhi laid the foundation stone for the modern India. He is known as the architect of Digital India and under his guidance and leadership Centre for Development of Telematics was established in order to develop and enhance the telecommunication network of India. He brought computers to India and brought about a major change in the technology related industries. He was the one who lowered the age of voting from 21 years to 18 years as he wanted the youth to be empowered to take decisions. He made a huge contribution to the education sector of India with the announcement of National Policy on Education due to which Jawahar Navodya Vidalayas were set up across the country. The 8th Prime Minister of India was V P Singh and was highly instrumental in improving the condition of backward and poor castes of India. 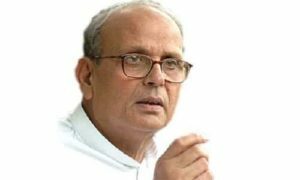 He was the leader of Janata Dal and was initially reluctant to become the prime minister but later in the elections of the year 1989 he emerged as the leader of the slackly knit Janata Dal Party. The extreme wings of the party were actually conflicting with one another. 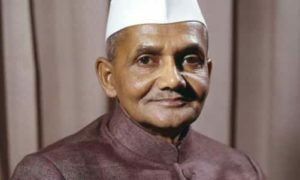 His close associate Chaudhary Devi Lal, who was the Jat Leader from Haryana, became deputy Prime Minister, raising the fear in the people of Punjab about another harsh period of rule after Indira’s emergency. However, V P Singh’s barefoot visit to the Golden temple in Amritsar said a different story. He promised to bring a restorative change to the profoundly torn state of Punjab but due to the indecisive nature of his coalition party, nothing much happened on that front. 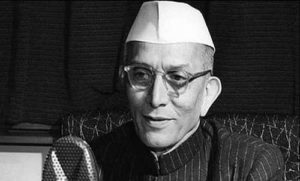 Chandra Shekhar was appointed as the Prime Minister for a period of 7 months. He also took care of Home Affairs and Defence portfolios during his tenure. Gulf war of the year 1990 to 1991 and the preamble were included in his legislature. Be that as it may, it couldn’t present a full budget since Congress pulled back help amid its formulation. In the year 1991, previous Prime Minister Rajiv Gandhi chose to precipitate another election. Chandra Shekhar then resigned from the position of Prime Minister on 6th March 1991. 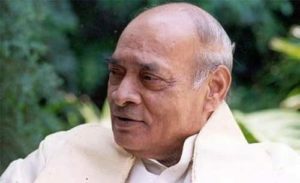 One of the prominent leader of the Indian National Congress, P V Narasimha Roa’s power as the prime minister was politically noteworthy as he was the first and foremost holder of PMs office from a non-Hindi-talking district, having a place with the southern region of India. He drove an essential administration, directing a noteworthy economic change and a few changes that influenced the national security of the nation. Rao was accountable for the Industries portfolio, and was in charge of the disassembling of the License Raj, which went under the domain of the Ministry of Commerce and Industry switching the communist approaches of legislature of Rajiv Gandhi. . He is frequently alluded to as the “Father of Indian Economic Reforms” and “Chanakya” by some. 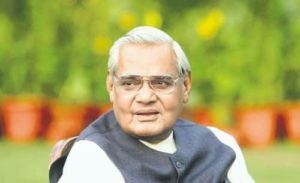 Atal Bihari Vajpayee was the first Prime Minister of Bharatiya Janata Party who served full term of 5 years in PM office. Indeed one of the finest PMs of India and it was during his term, the rate of inflation in India was quite low. He played a pivotal role in reforming the economy of the nation and also for the rural parts of India. Due to his efforts, the relations between India and Pakistan also improved slightly and the telecom industry soared new heights. He was conferred with the highest civilian award – Bharat Ratna. Among various projects he worked on, some of the prominent ones include Pradhan Mantri Gram Sadak Yojana and National Highways Development Project. When Congress Party led by Rao lost and no other party had adequate number of seats in order to form the government, the Non-congress and non-BJP parties known as United Front Coalition Government, came forward to create the centre government with the aid from Congress. 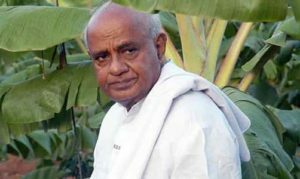 In an unexpected turn of events, Deve Gowda was chosen to lead the government and therefore he came to power in the office as the 11th Prime Minister of India. One of the instrumental task that I K Gujral did during his term was showing his resistance to the Comprehensive Test Ban Treaty and it was a great move to have the Pokhran nuclear tests conducted. 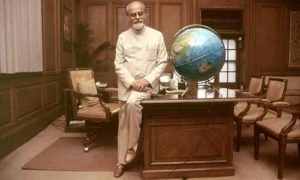 He helped enormously in improving the Indo Pak Relations and also released the five-point doctrine called as the Gujral Doctrine which acted as a guide for India to have cordial relations with foreign countries especially Pakistan. 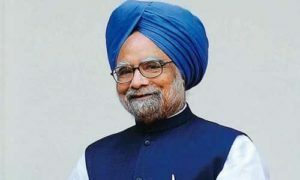 Manmohan Singh is the first Sikh Prime Minister of India and also the second Prime Minister who got re-elected after the completion of complete 5 year term in the office. He was heading the Ministry of Finance under P V Narasimha Roa and is responsible for bringing about reforms in not only the financial and banking sector of the nation but also the public sector companies as well. Value Added tax and pro-industry policies were brought in by his government. During his term 8 new IITs were established and this bringing about changes in the education sector as well. The 15th Prime Minister of India is Narendra Modi who is currently serving the nation. He has laid down certain disciplinary and strict systems of governance and thus enforced a number of policies for the upliftment of the nation such as Jan Dhan Yojana and Swachh Bharat Abhiyan and Clean Ganga Project and so on. His economic policies, demonetisation of INR 500 and INR 1000 bank notes, education policies, foreign policies, defense policies, surgical strike etc. have been in news. The Prime Minister is the head of the executives of Indian Government. He is the chief advisor to the President and leader to the council of ministers. It is due to the Prime Minister a nation can fail or succeed as it is the accountability of the PM to ensure that all the activities of the government are running smoothly in all the conditions. Therefore, it is very much critical to have such a Prime Minister who can take the decisions for the benefit of the nation selflessly. Previous PostWho Will be the Next Prime Minister of India 2019?